I am a Principal Hospital Scientist in Medical Entomology, Pathology West – ICPMR Westmead, NSW Health Pathology, Clinical Lecturer with Marie Bashir Institute for Infectious Diseases and Biosecurity (MBI), University of Sydney and Senior Investigator with Centre for Infectious Diseases & Microbiology Public Health. After completing my BSc (Hons) at Macquarie University, I was awarded a research scholarship with the Department of Medical Entomology & University of Sydney to investigate the ecology of pest mosquito populations associated with the estuarine wetlands of Homebush Bay. These investigations were undertaken with a view to assisting the then Olympic Co-Ordination Authority (now Sydney Olympic Park Authority) to better manage the pest mosquitoes. 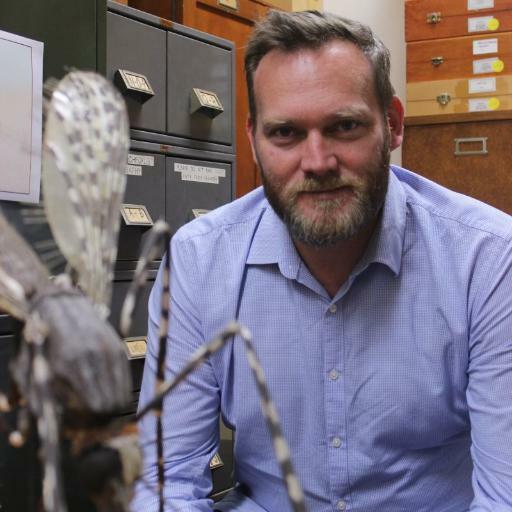 The findings of my PhD formed the basis of the mosquito treatment and monitoring program at Sydney Olympic Park established in 1998 and has resulted in the successful reduction of mosquito populations during the summer months. Continuing the long association with the Sydney Olympic Park Authority, I have given lectures at and co-ordinated workshops as part of their Wetlands Education and Training Program, a program that attracts attendees from local, state and federal agencies, as well as the private sector, to better understand the complexities of wetland management. In 2002, I was employed as a Hospital Scientist with Western Sydney Area Health Service (now NSW Health Pathology) to provide professional advice on a consultancy basis with local, state and federal governments, wetland management authorities, engineers, developers and private industry regarding mosquito management and control. In this position, I have undertaken Mosquito Risk Assessments for wetland and residential developments, laboratory assessments of mosquito repellents, field based trials of new mosquito trapping technologies, continue research into better mosquito management strategies in natural and constructed wetlands and provided expert entomological advice to a wide cross-section of the community. In 2005, I was commissioned to develop a mosquito management plan by NSW Premier’s Department for the Hunter and Mid North coast region of NSW. The plan was developed in conjunction with five local councils, state and federal government agencies and was official endorsed by all relevant organisations in 2006 with the formation of the “Living With Mosquitoes” focus group. The plan has subsequently been adopted by a group of local and state authorities for the Central Coast region. On the basis of my experience with these management strategies, I was engaged by Byron Shire Council in 2011 to develop a comprehensive mosquito management plan for their local area to guide mosquito management, urban development and community education programs. I have been called upon to co-ordinate and assist workshops and training courses on various aspects of mosquito and mosquito-borne disease management including courses conducted by NSW Health, ACT Health, the Australian Quarantine and Inspection Service (AQIS), Sydney Olympic Park Authority’s Wetland Education and Training Program, Environmental Health Australia and the Mosquito Control Association of Australia. In 2007, I was appointed as a Clinical Lecturer with the Faculty of Medicine, University of Sydney. This position was recently renewed until July 2019. For the past three years I’ve been the Deputy Postgraduate Student Coordinator for Westmead Clinical School (University of Sydney) and from 2017 will step into the main role of Postgraduate Student Coordinator. In the past three years I’ve worked hard to increase the connectivity of HDR students within the Westmead Research Hub and look forward to pursue this even more in coming years. I have given lectures in a range of courses and supervised undergraduate and postgraduate research students including collaborative projects with the Western Sydney University, University of NSW, University of Technology Sydney and the Australian Catholic University. The image at the top of this page is by Nick Moir via Crinkling News. Nice to find a science based blog that’s easy to read. I’ve been thinking about so-called mosquito-deterring plants such as basil, wormwood… Am I kidding myself if I think that planting these near an external door has the potential to reduce the chance of mosquitos entering my house? Hi there- I host a radio program in Canada at CBC… could you give me your contact info please?